Can an equation predict box office success? Want to know what will be the next box office smash? It might be as easy as solving an equation. Japanese physicists have developed a mathematical model they say can predict a film's success based on its advertising budget and word-of-mouth. The seven researchers analyzed daily advertisement costs of 25 different movies shown in Japanese theaters to predict how much they would gross at the box office. The researchers then compared this prediction with indirect communication (overhearing someone discuss a movie in a café, for example) and direct communication (contact with a friend through means including Facebook and Twitter) about the movie, which they calculated from sources including blogs and other social networking platforms. When they analyzed the films’ actual revenue, the numbers seemed to match, which they believe showed their model makes an accurate forecast for box office success. Their findings were published in the Institute of Physics and German Physical Society’s New Journal of Physics on June 15. Akira Ishii, a professor from Tottori University, where the research team was based, said there are differences in the Japanese and American markets, since Japanese movie studios don’t typically spend as much on advertising as Hollywood-based studios do. Still, he said the model is “very, very general” and sheds light on how and when advertisers should spend the most cash. Yet this formula might not have all the answers, said Gitesh Pandya, the editor of BoxOfficeGuru.com. Many movies have either far outperformed or underperformed their predicted box office revenue based on other models, he said. 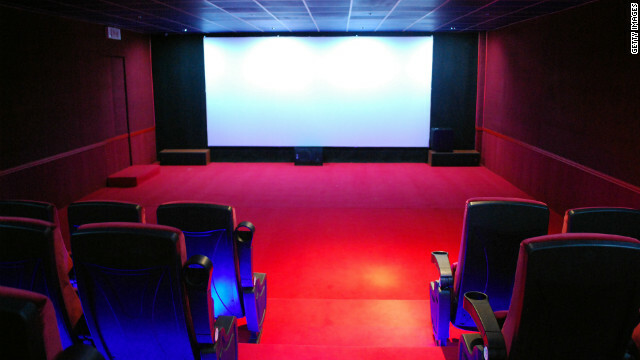 Films including “Battleship” and “John Carter” spent significant amounts of money on advertising, but their opening weekends were disappointing, Pandya said. And then there are movies such as “Black Swan” and “The King’s Speech,” which became extremely popular because of Oscar buzz, though before they came out fewer people were talking about them. Movies like “The Passion of the Christ” and “Borat” have become cultural phenomena that have had sustained success, as well. And then there’s the occasional Tom-Cruise-jumping-on-Oprah’s-couch moment. He’s surprised several times each year by movies that perform much differently in the box office than could be predicted, he said. What do you think? Do movies surprise you with their box office success? Sound off in the comments below. Tickets for two,$16.00.Large popcorn and two sodas,$33.00.What more of an equation do you need. I agree with you. I tend to only go to the movies for the big blockbusters, the rest I wait to come out on dvd. The price of a movie has gotten a bit out of control. Imagine taking a family to the movies! That alone must be a budget buster. @Central Scrutinizer- I agree with you, too. Remake + 2nd Rate Actors + Big Budget = Flop; Original Script + Great Acting + Word-of-Mouth = Success. Not so hard, professor Tamiki.